Iran is an ancient country, an oil-exporting economy and an Islamic Republic. It experienced two full-scale revolutions in the twentieth century, the latter of which had large and important regional and international consequences, including an eight-year war with Saddam Hussein’s Iraq. And now in the twenty-first century, it confronts issues and experiences problems which have important implications for its future development and external relations. 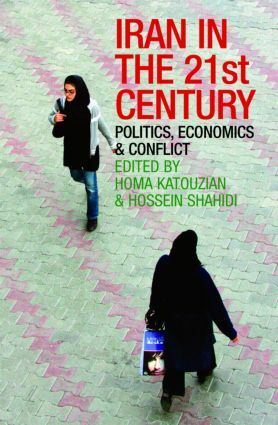 Featuring outstanding contributions from leading sociologists, social anthropologists, political scientists and economists in the field of Iranian studies, this book is the first to examine Iran and its position in the contemporary world. oil and the development of the economy.